Nobody likes a desperate salesperson and fewer people like outwardly aggressive ones. These modes of salesmanship—the Glengarry Glen Ross squad of suit-and-tie-wearing door-to-door thumpers; the tragic Willy Loman types; the used-car stereotype—these are outdated, old-fashioned sales models. 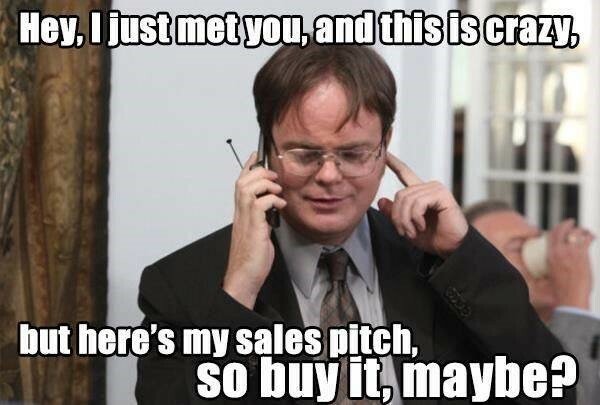 Modern sales aren’t just about cunning and a smile (though there is some of that), but also about nurturing your customers into understanding why your product is a good fit for them. Convincing them, winning them over, is far more likely to engage your sales team, keep customers happy and grow your business. Why Should You Never Ask for Business? In ye olde pre-Internet times, aggressive sales tactics worked because people simply had fewer options for researching their needs and making informed purchases. Salespeople were more than just salespeople; they were gatekeepers of knowledge. If you wanted a vacuum cleaner, you had to ask the vacuum cleaner guy which was the best vacuum cleaner and buy it from him. Today, that is simply not reality. Many people start their purchases by researching a topic first online, usually with a search engine. (Understanding your own customer journey is a necessary first step here.) High-pressure situations leave customers with negative emotions that linger beyond the transaction itself. 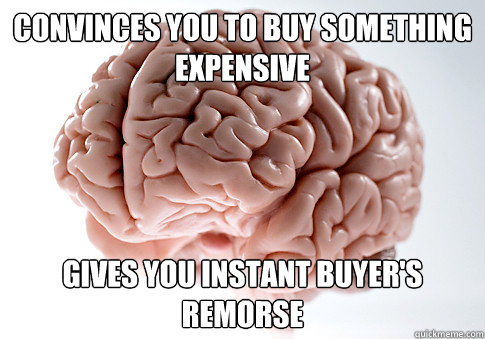 There’s a higher probability that the customer may regret their purchase and carry that sentiment against your brand. After all, if they don’t really want what you’re selling, why push it? So rather than ask for business, your challenge is to show your leads why your product is best. It’s less about closing than it is about convincing. This approach is far more likely to create return customers, who are in turn more likely to spend more money with you over time. 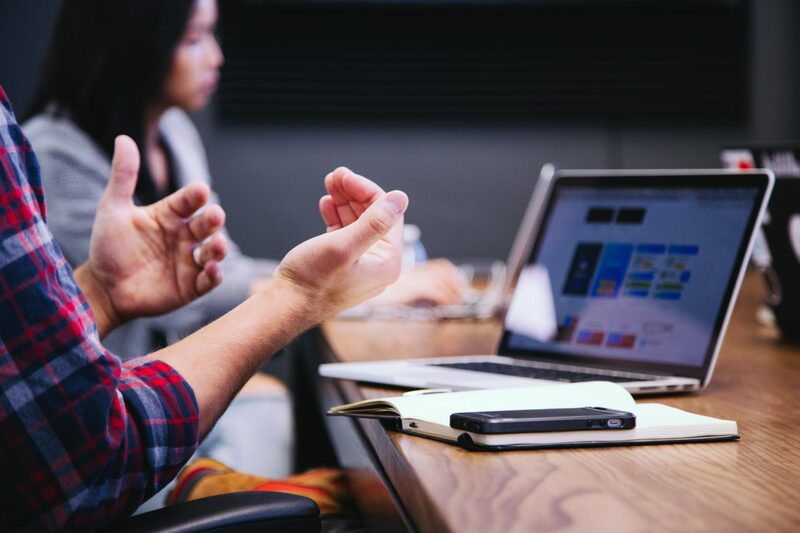 According to Invesp, a customer-retention software company, increasing customer retention by 5 percent can increase profits anywhere from 25 to 95 percent. Since it’s more cost-effective to retain existing customers than it is to find new ones, nurturing your existing base not only makes easier the lives of your sales team, but also your accountant. How Can You Avoid Pitching for Business? 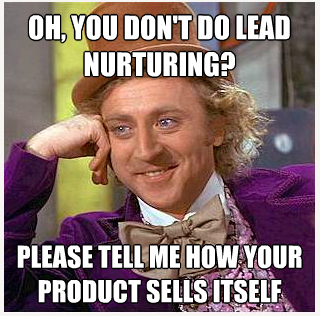 Instead of pitching immediately, and turning off your leads, nurture them instead. Offer them something valuable or entertaining from the get-go. If they found your site through a Google search, odds are they were looking for information—that’s where you can inform them with an explanatory video or article, or detailed and beautiful photos of the product they’re interested in. That’s your hook. Once they’re engaged, you want to keep in touch—a logical next step of the funnel is to grab their email by offering a newsletter or coupon or asking them to follow you on social media for news or deals. If you get an email hook, the best practice is to personalize your follow-up. Using real names and creating specific email lists (organized by zip code, city, age, etc.) will go a long way toward that. This will be easier if your sales and marketing teams have already joined forces and shared their lead and customer data. This way, your whole team will be working off of one CRM database. Your team will be able to leave notes that make sure everyone understands the pertinent details customers expect to feel like they’re understood by a company. Once a lead is converted into a customer, make sure you follow up afterward, too. Asking how you did as a company, requesting product or service feedback and asking for reviews are all great ways to invite engagement and show off your humility. It’s putting the customer in charge, reversing the notion that it’s the salesperson’s job to push a product. After a certain amount of time, you’ll have leveraged your data to hone a successful outreach strategy that you can repeat, attracting new leads that are more likely to convert into long-term fans. And that is the art of the non-pitch.